Yes, even Homeschoolers get to have a Prom! Some are called “Spring Formal”, but they’re Proms nonetheless. They have a theme, music, dancing, dresses, suits, decorations, photos, and food. Of course since the home school culture is vastly different from that of the other schooling choices, there are plenty of differences from the one the local ISD or private school is sponsoring. The biggest differences are that it’s truly fun to be with everyone there and it’s safe. 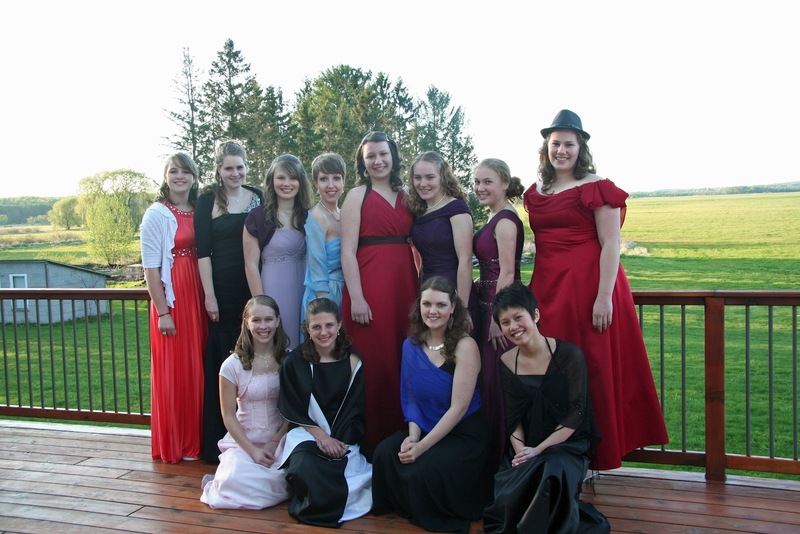 Group of young homeschooled women dressed for the Prom. Photo courtesy of Munchins On The Path Blogspot.